-It’s easy to do both movement, getting up and laying down. -It does not need to load and unload the futon one by one. -It’s possible to lie down immediately when tired. -It is hard to be affected by temperature and the humidity of the floor. -There is little chance to breathe in dust. -It needs large space unexpectedly. -The coverlet is easy to slipping off from the bed. -when a mattress is too tender, it causes back ache. -Because the back becomes straight, it is good for the health. 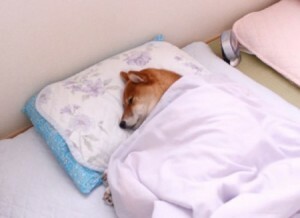 -Even if sleeping posture is bad, neither futon nor oneself falls. -It doesn’t need to use space, so it helps effective use of a room space. -There are variety of choice, material or pattern and condition for comfortableness so it’s possible to choose favourite one. -You must fold futon every time. -If the futon keeps on spreading on the floor, the mold grows by moisture, and an insect is bred. -It’s dusty as close to floor. There are some advices, which is base of concerned by lifestyle and past illnesses. Both futon and mattress requires each caution for using. Person who has a back ache, condition of mattress on the bed is really important. If the repulsive power, supporting the body weight, of mattress are low, it influences low back pain. Because posture to lie down could not keep straight. 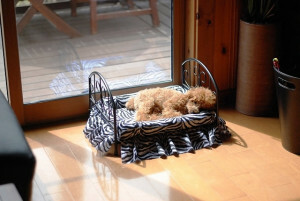 If the person using futon, it’s important to escape from stress and pressure from hardness of floor. For the allergic person of tick house dust, Futon, Japanese mattress is much contact with the allergen, so cannot be recommended to use. The use of a bed with height will decrease the contact with the allergen. However, it’s necessary to keep it sanitary with a futon dryer or drying under heavens sun once a week. It’s important to search for best pleasant sleep method. 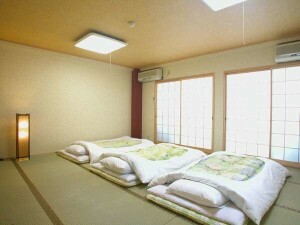 So Japanese can choose best condition either using futon, Japanese mattress, or using bed.